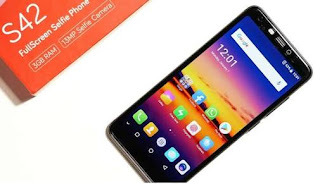 Here is a concised information about the new Itel S42 smartphone so this post covers the Specifications and price of the S42 in Nigeria, India, and the Kenyan market. itel S42 is has 5.65-inch display with the new trendy 18:9 aspect ratio. The processor used here is a Snapdragon 425 processor, while there ia 3GB of RAM, and a 3000mAh battery. At the back, there is a 13-megapixel selfie camera together with rear fingerprint scanner. For selfies, the phone also packs a 13-megapixel front camera. itel S42 is officially on sale in India for around Rs. 8,499. In the Nigerian market, it should cost around N38,000.